A tour of Frank Stronach’s vast ranch in central Florida is a journey into one man’s dreams. For more than a decade, the Canadian auto parts magnate sought to build an organic food empire here amid the rolling hills and moss-draped oak trees. Over time, he put US$300-million into this property, Adena Farms, buying up vast swaths of land, building a herd of 7,200 cattle that eat nothing but grass and building fenced enclosures for hogs and chickens that are also raised naturally. He scouted the region for dairies so he could add organic milk and butter to the business. He planned to acquire farms that would grow sunflowers, fruit and vegetables. But Mr. Stronach’s ambitions went far beyond the low-lying forests and agricultural land found in this part of the sunshine state. His vision included a national chain of restaurants and grocery stores that would sell Adena-branded organic meat and produce. He even began signing leases on retail locations. It was all done with the same passion that has defined Frank Stronach’s extraordinary life in business – one that transformed him from an immigrant tool-and-die maker to the head of a multibillion-dollar auto parts and manufacturing giant, Magna International Inc., and made him one of Canada’s best-known entrepreneurs. Mr. Stronach split from Magna and a related real estate company in 2011, controversially, with $1.6-billion in cash, shares and other assets, then ceded most of his control of the family empire to his daughter, Belinda Stronach, while he went back to his native Austria to pursue a run at politics. That political career proved short. In 2014, he returned to Canada to focus his energies on new ventures and especially on Adena Farms. Before long, his daughter grew alarmed at the rate at which his entrepreneurial schemes were draining that vast family fortune. Last year, she turned off the taps. They’ve been at war ever since. By denying her 86-year-old father access to the cash needed to fund his plans, she helped touch off a sensational family business dispute that has landed with a bang in an Ontario court. In November, 2016, Ms. Stronach and current and past employees of The Stronach Group (TSG) said the company faced a liquidity crisis, leaving them with little choice but to curb her father’s spending. Mr. Stronach’s anger at the move drips off the pages of a lawsuit that he and his wife, Elfriede, filed against their daughter in October to regain control of The Stronach Group. Belinda’s two children, both in their 20s, are also named as defendants, but in the pages of the suit, most of the invective is aimed at Belinda and at Alon Ossip, a former top executive of a Stronach company. Belinda Stronach, who is chair and president of The Stronach Group, owns both Pimlico and Laurel race tracks in the United States. Mr. Stronach and his wife accuse Belinda and her perceived allies at The Stronach Group of being “confrontational, disrespectful and insubordinate.” They allege she mismanaged the family business and routinely billed personal expenses such as parties, vacations and expensive meals to the company. Frank and Elfriede even take aim at their 52-year-old offspring’s “lack of business acumen.” Their lawsuit alleges she misappropriated more than $70-million to maintain “her extravagant lifestyle” and that she even acquired and refurbished an office in an expensive commercial district of Toronto, at a cost of $10-million, partly to hide the fact that she was avoiding work. They said these things about their own daughter. For all the fury and vitriol behind these allegations, however, it is only one side of the story. A tour of some of the Stronachs’ businesses in Florida shows that someone is winning this family feud – and it isn’t Frank Stronach. The farming operation that he backs has largely been idled, shut down by a lack of cash. Nearby, a luxury golf course he opened only a few years ago is closed and for sale. Meanwhile, the horse-racing business where Belinda spends much her time is showing signs of a comeback. The Adena Golf & Country Club, a $50-million golf course developed by Frank Stronach, closed in July and is currently for sale. At the 95,000-acre Adena ranch, a spread so large you can see deer and wild turkeys while driving through the forests and pastures, the impact of the family feud is clear. The pig pens are empty. There are no chickens in the coops. The manager of the ranch, Rick Moyer, says these businesses had to be shut down owing to the continuing cash crunch. There are still cattle, and each week trucks carry a few dozen off to the slaughterhouse Mr. Stronach built just down the road. But the state-of-the-art facility was designed to butcher hundreds of animals weekly. 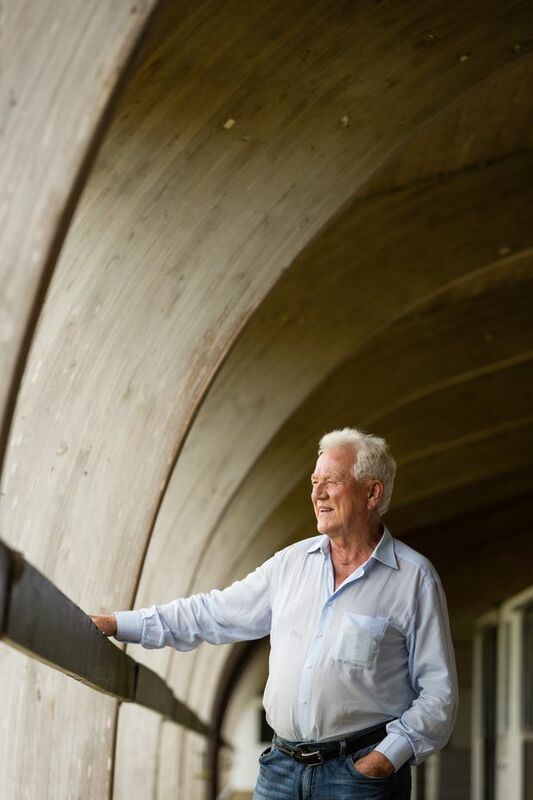 The lack of activity on the property, which sprawls over five Florida counties – big enough to hold 20 Toronto Pearson International airports – is one of Mr. Stronach’s many grievances. “Despite the superiority of Adena Farms products, the company has lost and will undoubtedly continue to lose numerous business opportunities as a result of Belinda’s conduct,” the lawsuit states. Ms. Stronach is expected to explain her side this month in a statement of defence. It promises to be the next round in a bare-knuckle family brawl. According to friends, legal advisers and co-workers at TSG, she plans to state that her octogenarian father drained the family treasury to back his organic food business and a host of other ventures that lacked good business plans and were never going to make money. Her defence is also expected to paint a picture of a turnaround in the family’s horse-racing business under her leadership. For years, it was a public company under the name Magna Entertainment Corp.; it struggled financially, accumulated vast amounts of debt and ultimately had to be restructured under a Chapter 11 court proceeding. What remains under Stronach family control is a network of six storied U.S. race tracks and collection of media properties and gambling businesses, which she will argue is where TSG’s cash should be invested. Frank and Belinda Stronach both declined to be interviewed, citing their continuing legal dispute, and the allegations in Mr. Stronach’s lawsuit have not been tested in court. There are two Stronach camps in the business community. Frank’s fans – and he has many – compare him to entrepreneurs such as Jimmy Pattison and the late Peter Munk, leaders who see opportunities that others miss and are willing to take risks to realize their vision. The Belinda camp, comprised of colleagues and friends who recognize she can never match her father’s business success but say she is a solid businesswoman, see the elder Stronach as a one-hit wonder, brilliant at building car parts, but impulsive and perhaps even reckless when he dives into other ventures. The Ontario Superior Court of Justice may well decide who gets to call the shots at TSG. Whatever the result, the family element of this family business is shattered. (Belinda Stronach is) confrontational, disrespectful and insubordinate . . . lacking business acumen . . . (and has an) extravagant lifestyle. “In the past, Frank has called his daughter, Belinda, his twin and soulmate,” said Julie Morton, who counsels affluent families as co-founder of money management firm Our Family Office in Toronto. It was Mr. Stronach’s love of horses, not visions of being a large-scale farmer, that led him to buy the Adena ranch near Ocala. He wanted a place to train his next generation of ponies and let the previous generation live out their final years. The former owner left a few cattle on the ranch. They were an afterthought. It was 2004. He was still the leader of Magna. Belinda had left the auto company after a brief stint as chief executive to enter politics, where she made a play for the Conservative Party leadership, losing to Stephen Harper. Throughout his career at Magna, Mr. Stronach indulged in a variety of pet projects, most of which lost money. Race horses have been a lifetime passion. He also launched, then closed, restaurants, a glossy magazine called Vista and Frank’s Energy Drink, a Red Bull knockoff. Ms. Stronach was consistently supportive in public, but friends say her father’s ventures occasionally created problems for a woman trying to build her own career. Adena Farms became Mr. Stronach’s post-Magna passion project. He dove deep into every element of the beef business, said Mr. Moyer, the ranch’s general manager, who started working at the property in 2004. The two spent endless hours figuring out how to breed cattle that could flourish in Florida’s hot, buggy summers. They introduced Brahman stock out of India into their Angus herds. Adena Farms became Mr. Stronach’s post-Magna passion project. He dove deep into every element of the beef business, including introducing Brahman stock out of India into his Angus herds. Mr. Stronach was able to spend money on Adena as he saw fit until a meeting in November, 2016, his legal filings say. That’s when Ms. Stronach and Mr. Ossip, CEO of The Stronach Group and a former Magna executive, told Mr. Stronach that the family business was running short on cash. For the first time, the pair questioned the cost of Adena Farms and the potential returns from organic farming. Coming out of the session, Mr. Ossip nixed spending on a number of Mr. Stronach’s planned ventures. One controversial project that didn’t go forward was a hog farm and processing facility with a US$35-million price tag, according to former TSG employees. Mr. Stronach wanted to acquire a property two hours north of Adena because it was full of oak trees with acorns that the pigs could eat, adding flavour to their meat. He had already spent US$2-million on equipment when the venture was shut down; the gear is now in storage. In the months that followed, father and daughter began communicating in writing, rather than face to face. After lengthy negotiations, the two agreed in May, 2017, that Mr. Stronach could draw up to US$40-million over the next three years at Adena Farms, according to his lawsuit. He claims he spent US$6-million of that amount, then had all access to cash cut off by his daughter and Mr. Ossip. He also found out that Ms. Stronach planned to sell the family-owned Dessault corporate jet – the call sign on the tail is GGOFS for Go Frank Stronach – without asking. Those decisions led to the lawsuit that is now blowing up the Stronach family. Mr. Stronach was able to spend money as he saw fit, including this home on a hill above the race track in Adena Springs South, until a meeting in November, 2016, his legal filings say. Five hours south of Adena Farms, just north of Miami, are two Stronach-run race tracks: Gulfstream Park, which the family owns, and Gulfstream Park West, which is leased from Churchill Downs, a race-track operator that is shifting its focus to casinos. An afternoon spent watching the action shows how the racing experience has evolved on Ms. Stronach’s watch. Running two tracks meant TSG went from 40 days of racing a year in Miami to hosting more than 200 days at the track. All these races become content for other TSG-owned venues and the family’s growing media holdings, which includes online gaming networks and a service called Monarch Content Management LCC that broadcasts to casinos, off-track betting facilities and internet gambling companies around the world. Races at Gulfstream Park West are 30 minutes apart, but for those with short attention spans and deep pockets, TSG screens races from its own tracks and rival facilities between each event and encourages betting on winners of multiple races. There’s something new to wager on every few minutes. While there are only a few hundred fans actually at the track on a Friday afternoon, TSG’s streaming services mean each race has a gambling audience that numbers in the tens of thousands. The track also has an Adena Farms food truck that is seeing very little demand for its fare. In the ninth and final race of the day, Gulfstream Park general manager William Badgett points to a horse named One Slick Fact, coming out of the gate with 6-1 odds. If the pony wins, someone gambling through TSG’s network is going to take home US$1.6-million on a “Pick Six” wager – they’ve already correctly picked five winning horses. After a strong start, One Slick Fact falters, and a horse named Soldvia wins the race. As officials snap pictures of the winning jockey and owner, Mr. Badgett is smiling. A glance at his phone shows him the day’s wagering from the track is up 17 per cent from the same day last year, at more than US$3-million. The big “Pick Six” prize will roll into weekend races, creating a lottery-style buzz. As the sun sets on Gulfsteam Park West, televisions scattered throughout the property and in nearby Stronach-owned venues such as Frankey’s Sports Bar, which serves US$11 gin and tonics and US$12 burgers from Adena Farms, are streaming races from Peru, and patrons are lining up to make bets. The main race track at Gulfsteam Park will open for the season in December. Mr. Badgett conducts a tour through a site that’s being renovated for the opening race. TSG is spending US$700,000 to build a new luxury lounge in the centre of the grandstand, while new Plexiglas railings around the track are being imported from Australia, a US$350,000 upgrade. Another big cheque is being written to rebuild a sand-floored “Tiki Bar” next to the race track that was destroyed by a hurricane this fall. Again, Mr. Stronach’s spending has been a source of family tension, according to family friends. He dropped US$50-million decorating the Gulfstream site with an 11-storey statue of the winged horse Pegasus defeating a dragon. It’s the second largest steel sculpture in the United States, after the Statue of Liberty. Some TSG executives questioned the price tag, although the visual impact of the structure is undeniable. In the pancake-flat neighborhoods north of Miami, amid high-end hotels and condo complexes, Pegasus anchors the skyline – and the entire race track’s marketing material. Money is being spent at all the Stronach tracks, many of which have been around for decades. Facilities need to be renovated, and TSG is taking on new costs by staging concerts and hosting e-sports tournaments to win over a younger crowd. At a recent race at family-owned Laurel Park called the Maryland Million, Belinda Stronach shared the stage with Grammy-winning DJ Steve Aoki and Grammy-nominated hip-hop artist Tyga. Pouring money into the business has made TSG the biggest player in U.S. horse racing, with a 30-per-cent slice of all betting on the sport last year and a growing share of a pie that consistently sees more than US$10-billion wagered annually, according to Timothy Ritvo, president of Gulfstream Park. “We recognize that race tracks can’t be about a bunch of old guys smoking cigars. It has to be a total entertainment experience,” he said. While the Stronach family businesses are all private, TSG executives put out a news release after the launch of Mr. Stronach’s lawsuit that showed revenues from horse racing and gaming rose from US$600-million in 2013, when Mr. Stronach gave up an active role, to US$1.1-billion last year. Separately, sources at TSG said the division has gone from losing money five years ago to annual profits in the US$75-million to US$80-million range. Mr. Stronach at his horse stable on his farm in Marion County in Florida. Six weeks before Frank Stronach filed his blistering lawsuit, Belinda Stronach tried to resolve the dispute with a strategy that dates back to King Solomon: splitting the family business so she would own the horse-racing business while her father took sole control of Adena Farms. Splitting the company this way would cut out Mr. Stronach from a cash-generating business with great real-estate assets – the Pimlico race course in Baltimore is seen as a potential redevelopment site – and leave him holding an organic food business that is probably years from profitability. The proposal came as a take-it-or-leave-it offer, according to advisers to both parties.